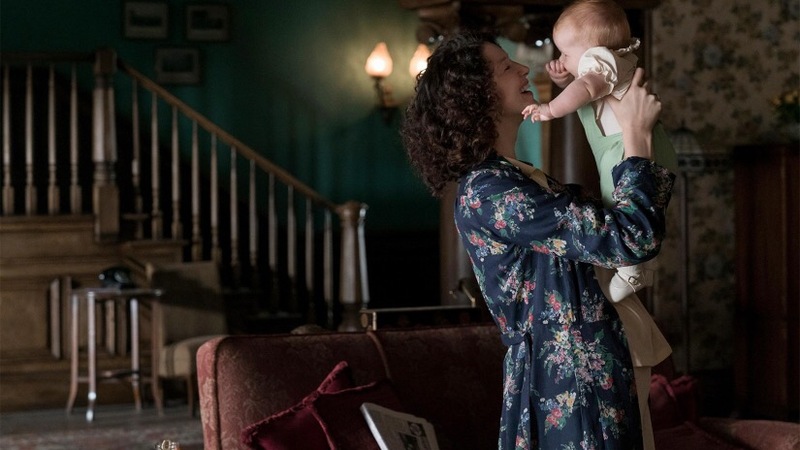 Jamie’s first reaction to Brianna’s name was not what Claire was expecting. After a moment Jamie gets used to her name, he pronounces it Bree-ina. It is going to be so sweet to see Jamie looking through the photos of Brianna. 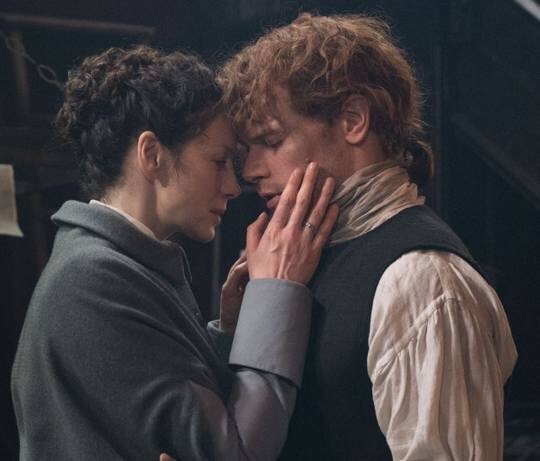 We know that Jamie and Claire will get a chance to be alone after their reunion in the printshop; and there will be intimacy of the best kind. Of course we don’t know if this exact line will be in the script of episode 306 but I’m sure we will see the look of it in Jamie’s eye. But dear heavens let it be in the SCRIPT!! Gently, brushing, then pressing, warm, and I opened to him with a little gasp, his tongue seeking mine. I bit his lip, and he drew back a little, startled. 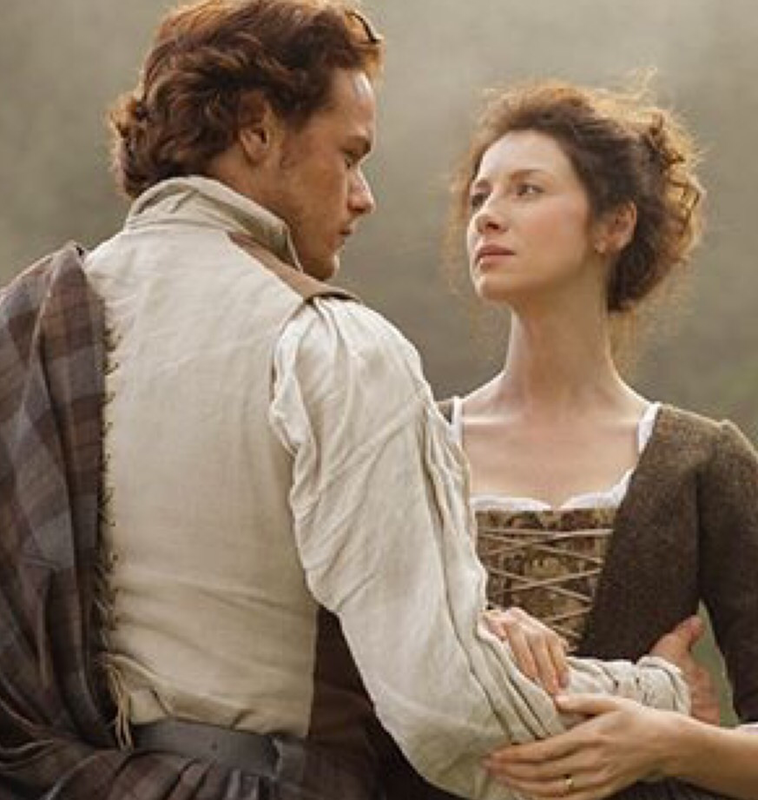 Jamie,” I said against his lips, my own breath warm between us. 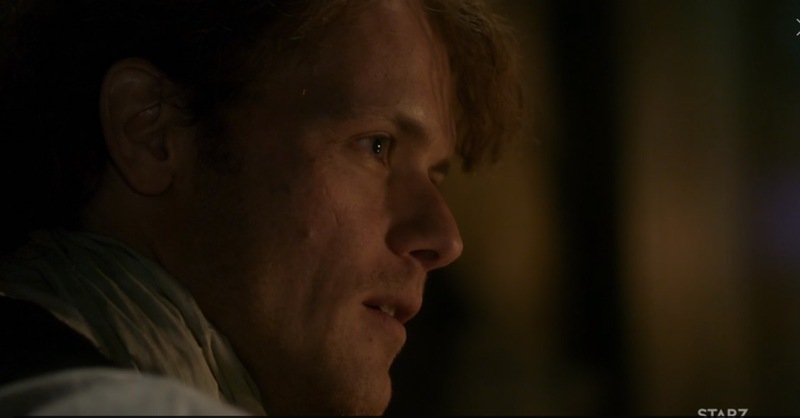 “Jamie!” That was all I could say, but my hips jerked against him, and jerked again, urging violence. I turned my head and fastened my teeth in the flesh of his shoulder. He made a small sound deep in his throat and came into me hard. I was tight as any virgin and cried out, arching under him. I will have to watch this episode a minimum of 4 times because I will most certainly faint the first 3 times. It’s always been forever for us too Jamie. Me too!! Love Davina’s narration…she is the best! I almost fainted myself just reading these lines I hope to see played out on screen as they played in my mind. Mind shattering. Probably in 9 months we will have a baby boom where Jamie has got women n men everywhere all stirred up!!! Excellent Laura. I cannot wait. My other favourite reference to his trauma over the twenty years apart comes later in the story. I am recovering from reading and seeing this post. You reminded me how much is at stake in this episode for the expectations of the fans. Sam and Cait better dellver, or they are gonna have a whole lot of unsatisfied fans! I can’t stand the wait. Thank you, Laura for making it easier to bear! Jesus, Claire, you are the most beautiful woman I’ve ever seen. Also to see them touching their scars J C on their thumbs ! Bahaha, watching it 4 times because you’re fainting 3! Bahaha, so true! Pretty sure that’s what we were all thinking at that point.